Our shredder supplies will keep your shredding operation running smoothly and efficiently. 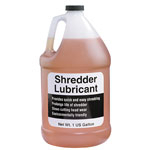 Our shredder lubricant is specially formulated to prolong the life of your shredder investment and our strong form fitted shredder bags will fit select GSA model shredders. 6-12oz bottles of shredder oil. Protect your machine investment by lubricating your paper shredder. 4-1 gallon bottles of shredder oil. Protect your machine investment by lubricating your paper shredder. 701 shredder bags. For personal, 20300 series and small office shredders. 100 bags per case. 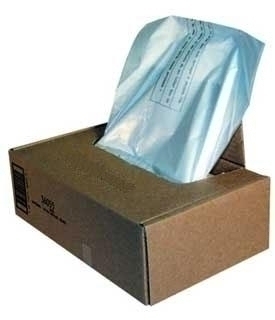 704 shredder bags for 20400 series and small office shredders. 100 bags per case. 705 for models 20800 series. 100 bags per case.